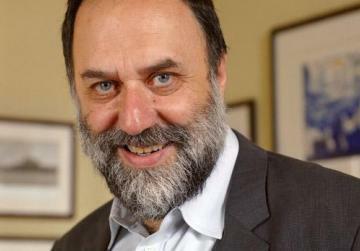 V18 director to be Mario Philip Azzopardi this morning apologised for statements he made on Facebook possibly insulting people’s sentiments with his writings. Culture Minister Owen Bonnici yesterday took issue with the comments, written in August, claiming “all Islam is Sharia law”. He said they were “unwarranted” and did not tally with the government’s position. Mr Azzopardi is expected to take over the artistic directorship of the V18 Foundation in January. In one such comment Mr Azzopardi says he would treat any Muslim who believes in Sharia law with the same contempt he would reserve for Nazis, Klu Klux Clan members and slave traders, reiterating that anyone who does not practise Sharia law is not a Muslim. In a statement this morning, the V18 said what Mr Azzopardi wrote or said before taking over the directorship was not in any way related to the foundation, with which he had no connection. Moreover, what he wrote was his personal opinion and he was sorry if he was not clear or if what he said could be taken to mean he was against cultural diversity. Mr Azzopardi said in the past regularly worked in societies and teams where diversity was celebrated in productions and projects inspired by his writings, both in Malta and abroad. He said he was sorry he could have insulted the people’s sentiments with his writings. The foundation said that while it believed personal positions should not be allowed to mix with the implementation of public positions, it disassociated itself from expressions which hindered intercultural dialogue and efforts in favour of solidarity. In his Facebook entry, Mr Azzopardi makes a “call to cultural arms”, while putting an argument forward for secularism. He writes that Maltese society has outgrown Christian theocracies, adding that “our theologies have changed”. The “idiots”, (Muslims), on the other hand, were “tied to a set of rules written 1,500 years ago”. “If one says he believes in Sharia law then there is where our conversation ends, with me making sure that the idiot does not attain any political power whatsoever, at the risk of using violence against him,” he writes. Asked whether he had seen these comments when accepting Mr Azzopardi’s appointment, Dr Bonnici denied any prior knowledge of the statements and said he would be looking into them immediately. “I do not agree with these comments and they are not in line with the position taken by the government or myself... I have not seen the statements but if they have been written they are completely unwarranted,” he said. When shown a copy of a number of the public comments, including one in which Mr Azzopardi advocates the banning of the Muslim head dress (burka) in all public spaces, Dr Bonnici said the government had always promoted cultural integration and tolerance. Contacted to expand on his comments, Mr Azzopardi initially said he believed all the comments had been erased but when it was pointed out that this was not the case, he stood by his remarks. He said Sharia law was something he found to be “extremely negative”. In fact, in one comment Mr Azzopardi writes that Sharia law is “the biggest collection of anti-human rights laws under one religious cap”. Asked if he was putting all Muslims in the same basket, Mr Azzopardi said his views were in line with the EU in this regard. “If one is Islamic and does not believe in Sharia law, then he is not Muslim. If he believes in Sharia law then even the EU human rights convention has declared this as being in breach of human rights,” he said, declining to comment on his “call to cultural arms”.